For most people familiar with the melodic and progressive rock world, Lars Eric Mattsson needs little introduction. 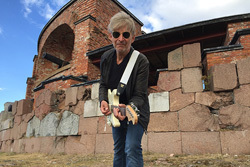 In the business for better than 30 years, Mr Mattsson is a talented guitar player, composer, producer, and the founder of the significant and successful progressive label, Lion Music. To add to his prolific catalog of music, Mattsson returns with a new electric album, Blood And Sand, the first in four years. Suffice to say, if you like sophisticated and creative guitar work, this album is a guitar geek's dream. Trying to describe Mattsson's guitar style and songwriting can be both daunting and elusive. To the former, Mattsson's guitar lines range from neo-classical to straight-forward rock to jazz fusion. And he can do all these things within the same song. Which leads us to his song composition. 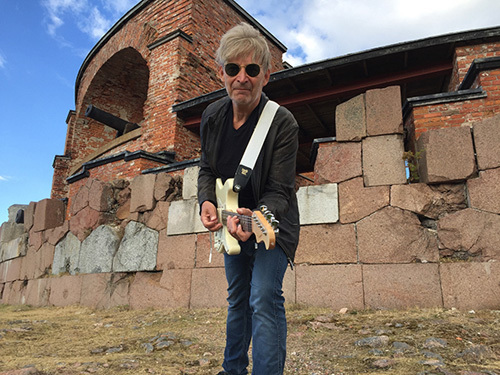 Though Mattsson is reaching for basic melodic hard rock, even with some AOR sensibility, with his creative and eclectic guitar style, his songs are essentially melodic progressive rock. Actually, throughout this album, I thought I was hearing anything from one to three, maybe four, different guitar lines in each song. It's almost as if Mattsson had cloned himself to play all the different parts at the same time within each song. My first reaction to this was that every song sounded busy, bustling and bristling with too much information. But all this is simply the nature of Lars Eric Mattsson, the compositional madman and guitar guru. And he makes it all sound so good and, yes, even accessible. Even though, most times, I can't explain one damn thing that's going on here. Dissecting songs, then, would be a gross misadventure and a waste of time. Nevertheless, prepared to be amazed, perplexed, and entertained by songs such as Bleed For You, Helena Of Troy (a favorite), You, and I'll Be Your Light. Additionally, Still Here Waiting features vocalist Adrienn Antal, and Mattsson offers a re-recording of Can't Go On Without Your Love from the 1987 EP of the same name. Recommended. 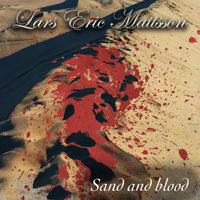 Suffice to say, if you like sophisticated and creative guitar work, Lars Eric Mattsson's Blood And Sand album is a guitar geek's dream.